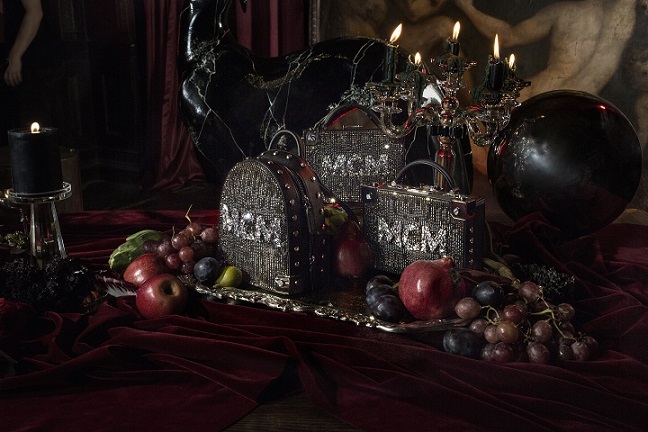 MCM brings an abundance of festive family sparkle to this holiday season. 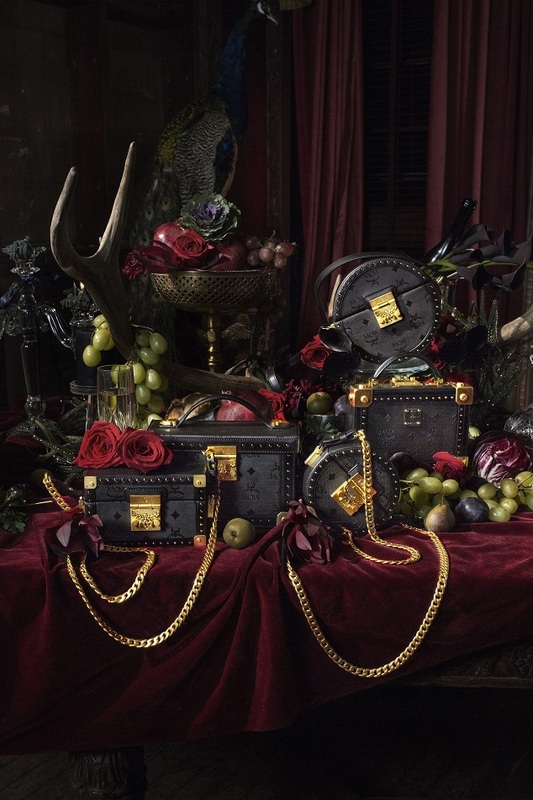 For its Festive 2018 brand campaign, the luxury German heritage brand fuses glimmering statement-making style with the new cult of influence. The result, images set in a luxe holiday gathering that define a contemporary family and friends portrait starring siblings Sofia and Miles Richie. The campaign shows the Richie siblings entertaining at an over the top holiday feast as they celebrate the season of giving. The descendants of rock royalty are captured in complete splendor and opulence as the hosts of the ultimate holiday gathering, their guests include Poster Boy, Milk and Galaxia Lorenzo. Images were shot at the lavish Alder Manor by photographer Hannah Sider. 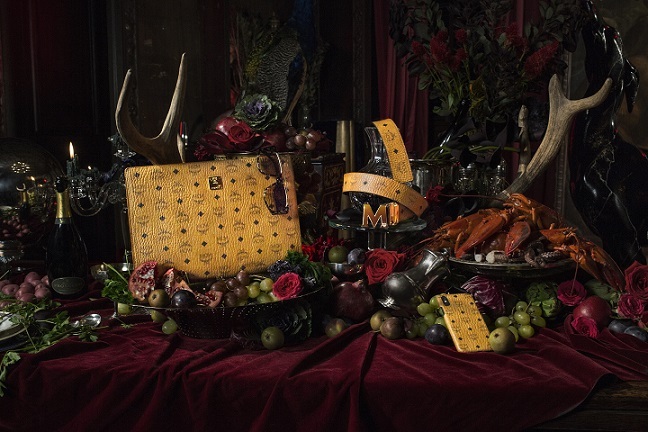 With this campaign, MCM acknowledges the culture of influencer worship and gives a glimpse into the lifestyle of the scions of music legends. Elevated elegance, glamour and youth culture are showcased throughout the campaign images and video. The video features a custom track “Can’t Believe” from musical producer, Mally Mall featuring his artist Young Egypt in collaboration with rap group, Migos. This version of the song is exclusive to MCM. 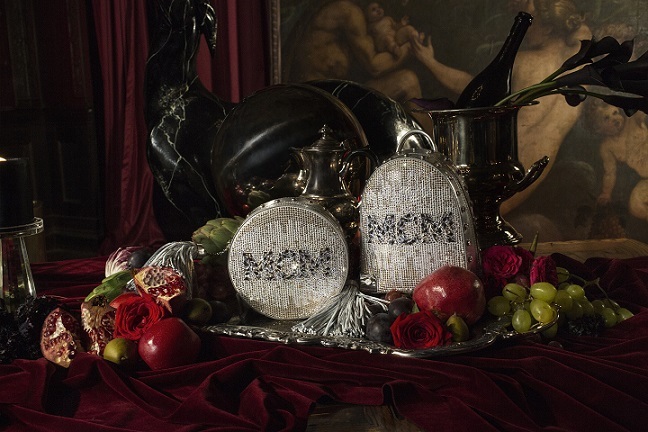 The theme “A Feast For Your Eyes”, is brought to life through a grandiose banquet of sparkling MCM styles alongside an extravagant holiday dinner spread. Each aspirational accessory within the campaign represents the essence of statement-making style. These are dazzling pieces that finish off any festive holiday look. 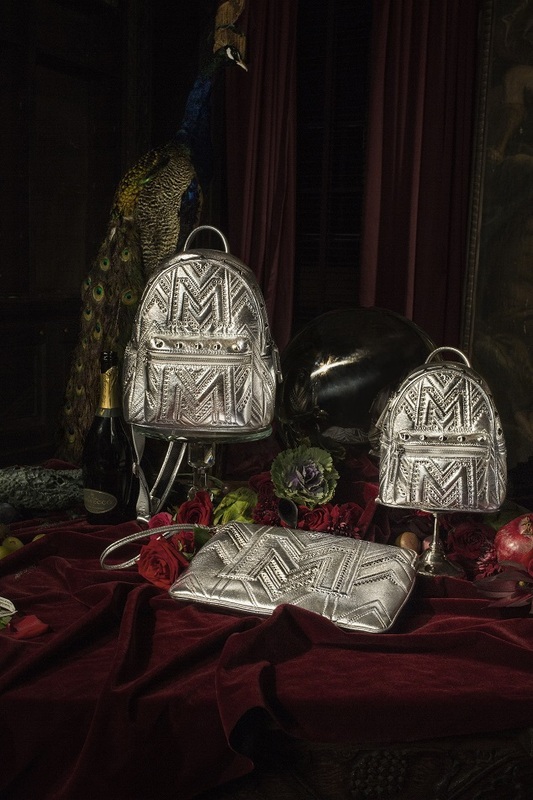 The quilted studs and shimmering Swarovski crystals are featured on a number of classic MCM silhouettes including the Patricia, the Stark and the Berlin styles, all sparkling in both silver and black. The Quilted Studs are glamorous options that combine an exceptionally soft foiled-leather base with sans-serif ‘M’ letters outlined in studs. Mosaic Crystal are dazzling options for customers searching for a statement-making style. They combine a chamude, or faux suede, base with a mélange of Swarovski crystals and pinhead studs arranged in a pattern that gives the appearance of movement. The hardware also features similar glimmering embellishment. The sophisticated Berlin styles are inspired by MCM travel trunks from the 1970’s and feature studded leather framing on the face, brushed and shiny metal hardware and tonal MCM branding. These bags can easily transition from day to evening and are equal parts subtle and striking.